Lead Free Pewter with Detachable Nickel Pin. The pin is approximately 98 mm across. Our Stag & Thistle series of Plaid Brooches was a new addition for 2010 and this design quickly became one of our most popular large Plaid Brooch options. 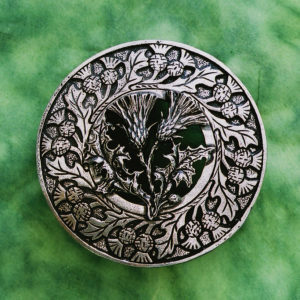 Inspired by the traditional Stag and Thistle motifs of Highland art, our Stag & Thistle Brooch is -like the thistles and stags themselves- both decorative and imposing. A highly sculpted piece, the ring of this impsing Plaid Brooch features four stags, points barely touching, wreathed in thistles. 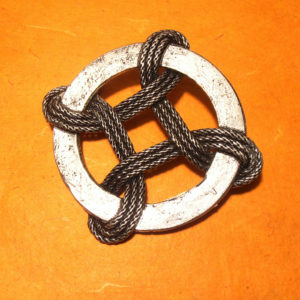 The centerpiece features a traditional Sailor’s Breastplate -that is cast, not woven!- supported by a ghostly St. Andrew’s Cross. 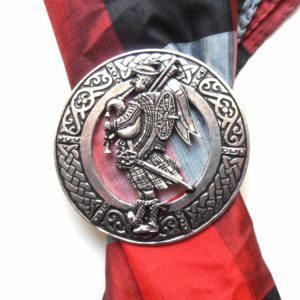 Subtle, yet imposing, Traditional yet definitely NOT generic, this is our latest offering for the kilted man who wants to pay tribute to tradition, but go his own way. And yes, this pin will hold the whole nine yards of a great kilt, or the weight of a shawl heavy enough to guard against the weather of the north. 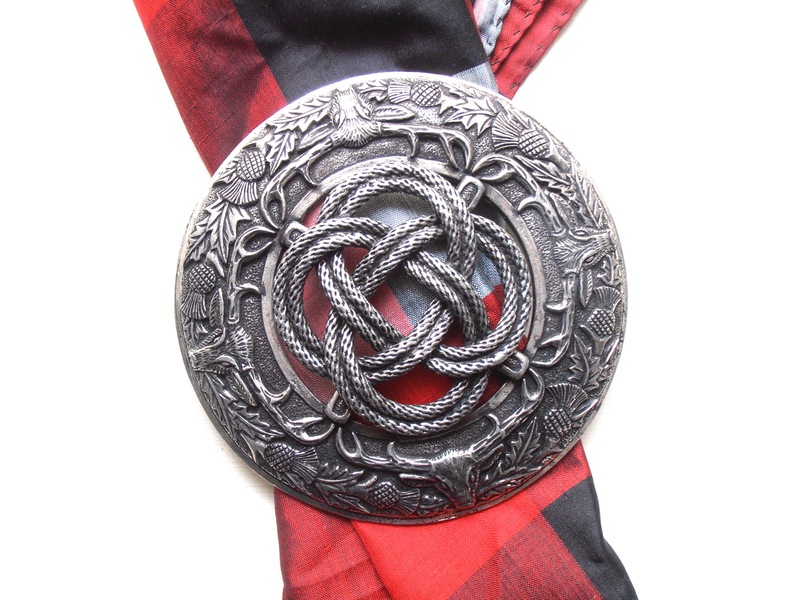 Like all of our Plaid Brooches, our Stag and Thistle Knot Brooch is covered by the Nagle Forge & Foundry guarantee: If it is broken or damaged in any way, we will fix it or replace it. We design it, we make it (right here in our workshop in California) and we guarantee it.